Developments in alternative energy sources are accomplishing some wonderful things. Yes, yes, so they could reduce greenhouse gases and our dependency on polluting fossil fuels. But that’s old news. More exciting things are in store. Take, for example, these illuminated garden birds. Admit it, you’ve been wanting these for years! 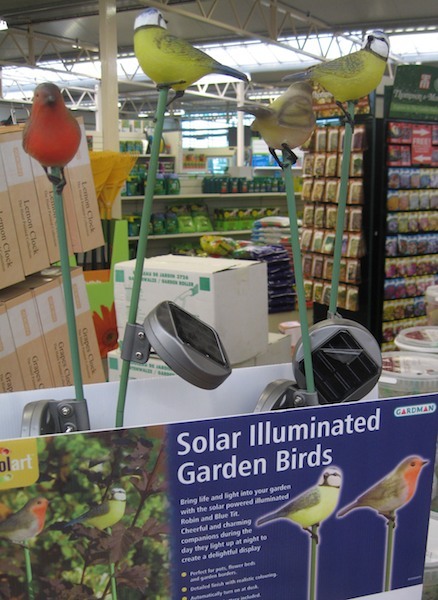 Well, now you can have them without the wiring hassles which have plagued installers of illuminated garden birds in the past.